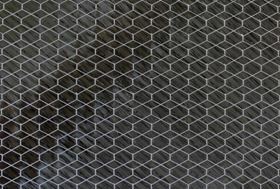 C-PLY Hexagonal is a carbon non-crimp fabric (NCF) with a stitching yarn designed to be visible within the resin and to capture resin colour pigments. Chomarat has received a JEC Innovation Award in the Sports & Leisure category for its C-PLY Hexagonal with visual & structural stitching. C-PLY Hexagonal is a carbon non-crimp fabric (NCF) with a stitching yarn designed to be visible within the resin and to capture resin colour pigments. The stitching yarn also improves fracture toughness compared to standard NCF, the company said. The material, which was originally intended for the design of aerospace and automotive parts, can be used in a windfoil board construction where the tows are spread to create thin plies, which are then stitched with ±45° angles. ‘Chomarat provided Neilpryde and Cobra with its C-PLY NCF technology to help them manufacture an innovative windfoil board, and we are very proud to be rewarded with our partners’, says Pascal Joubert des Ouches, sports equipment market director. This story is reprinted from material from Chomarat, with editorial changes made by Materials Today. The views expressed in this article do not necessarily represent those of Elsevier. Chomarat reports that it has invested in a new pilot production line to develop its next generation of reinforcements. Chomarat, a producer of engineered textiles and composite reinforcements, is expanding its coatings and films business.